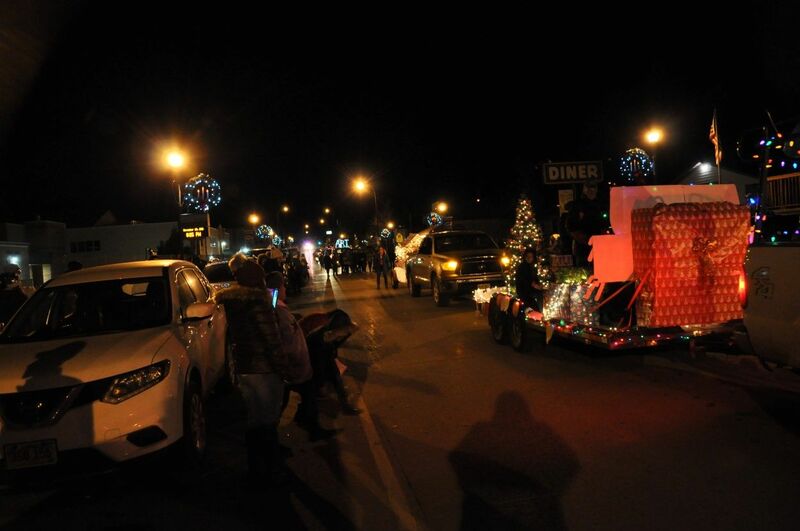 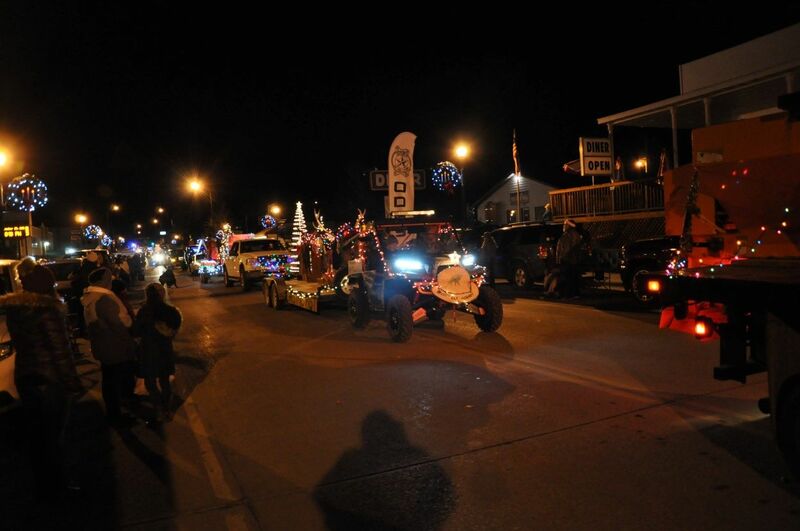 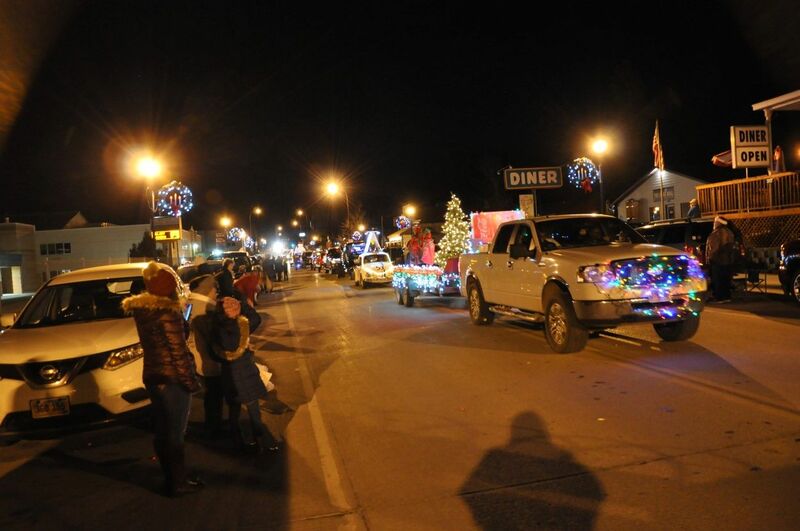 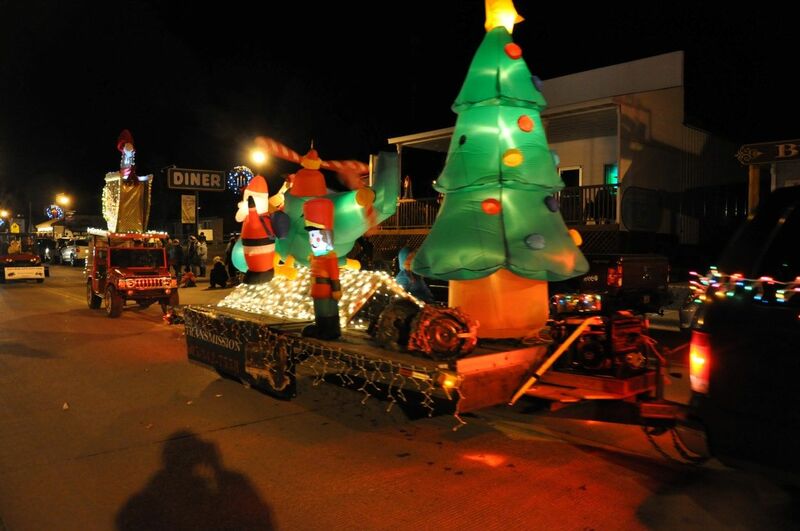 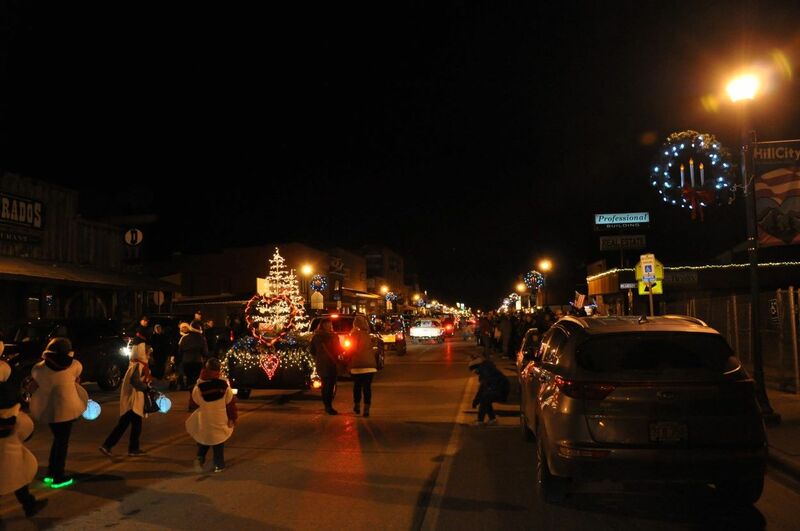 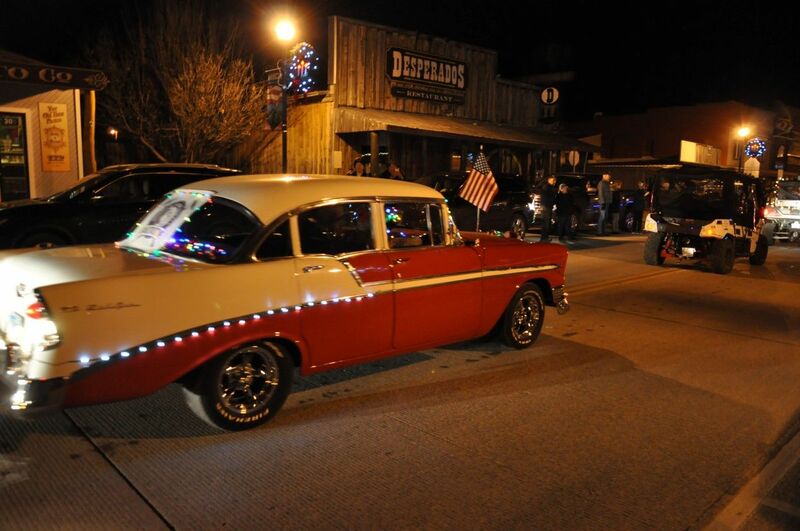 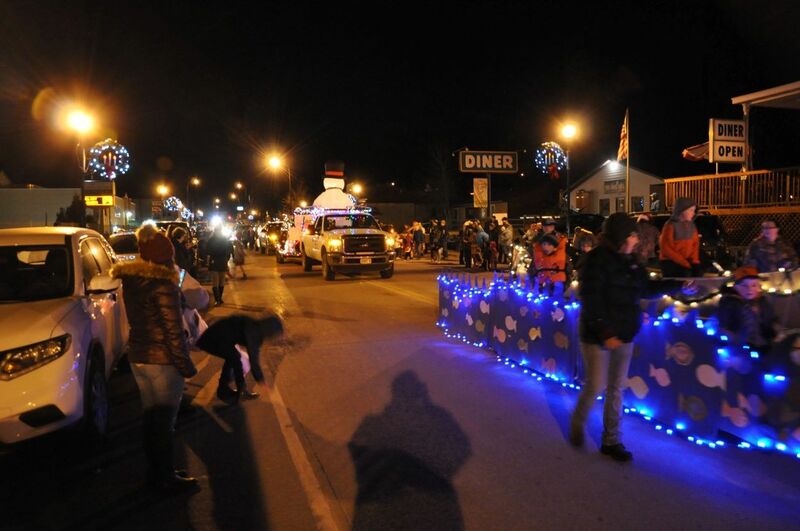 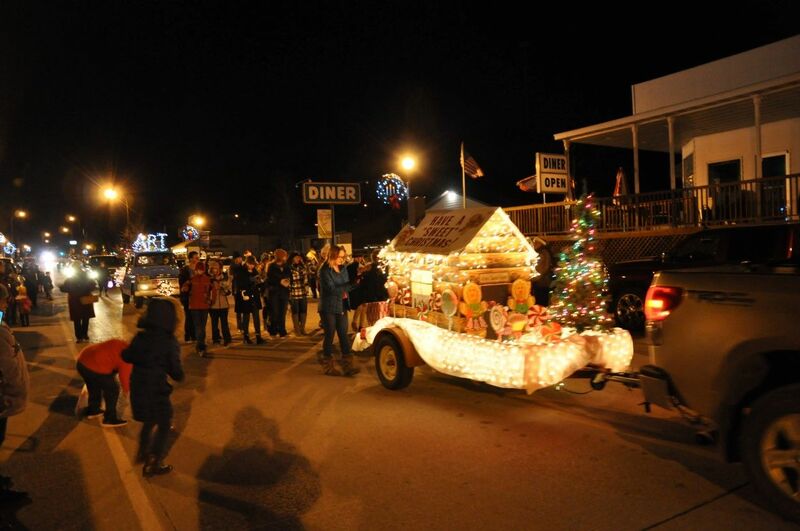 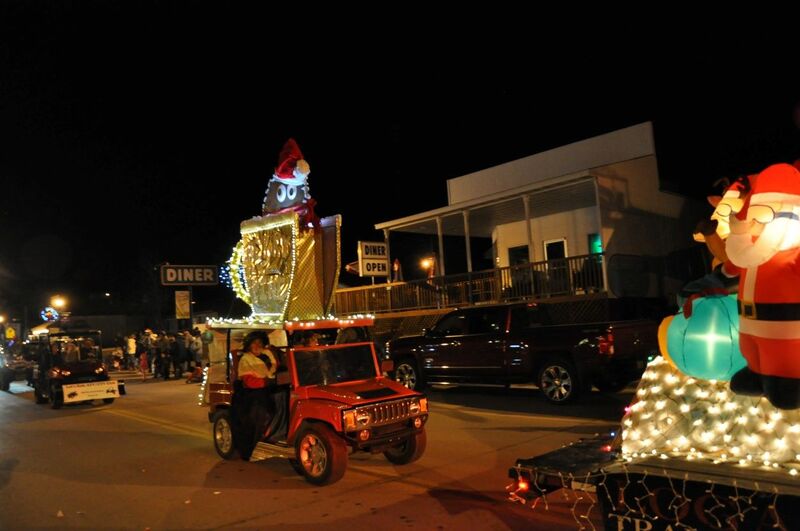 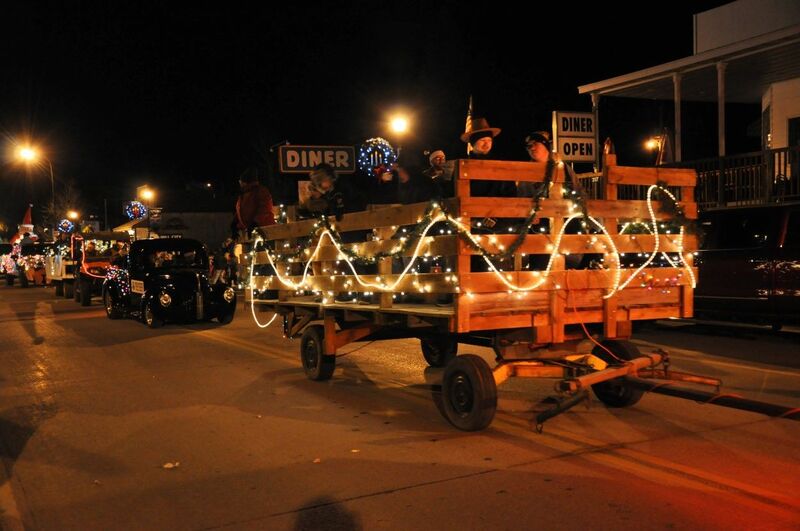 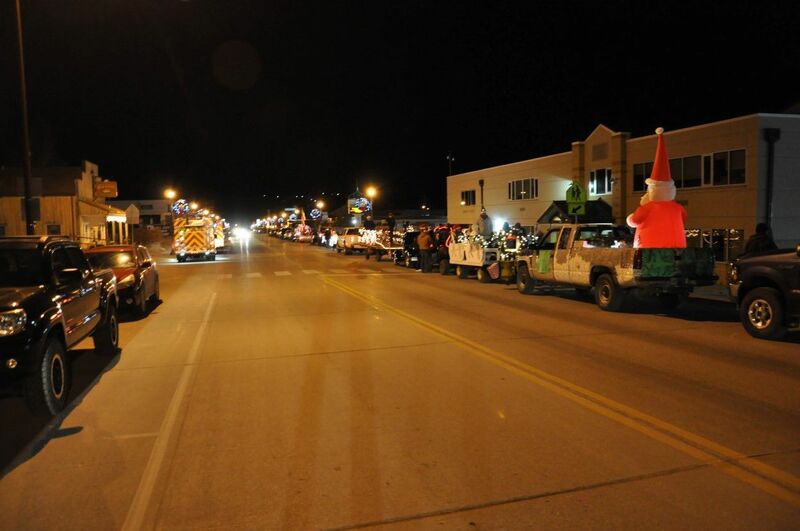 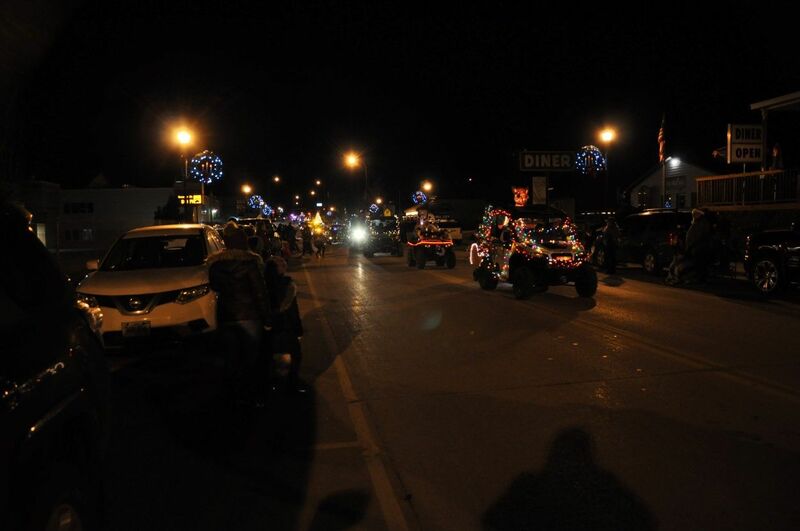 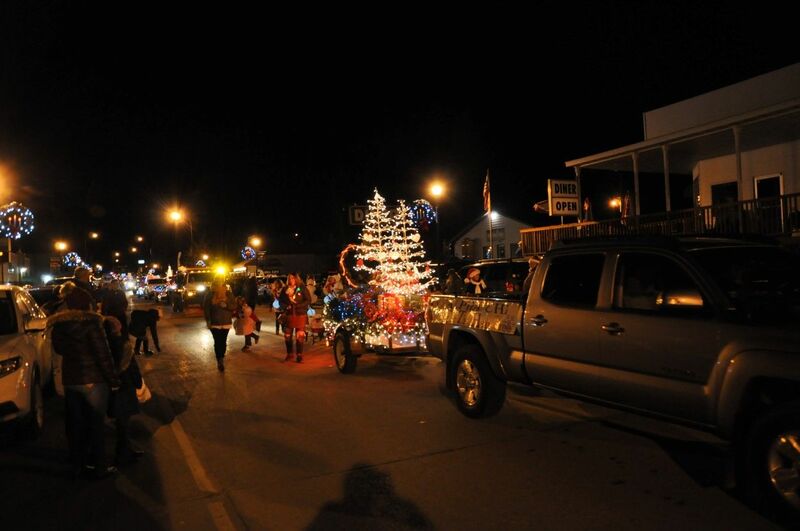 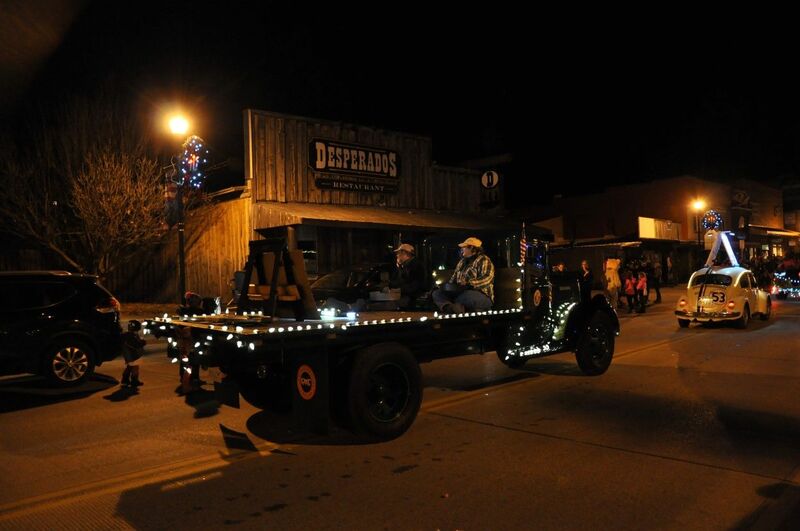 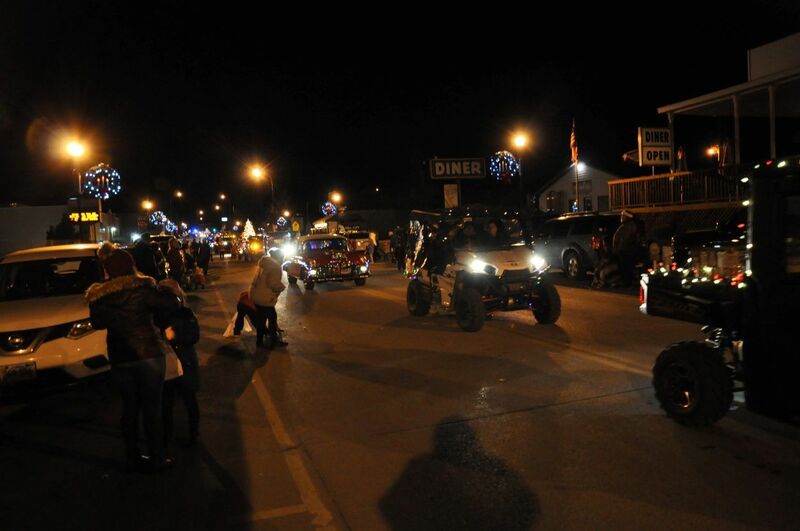 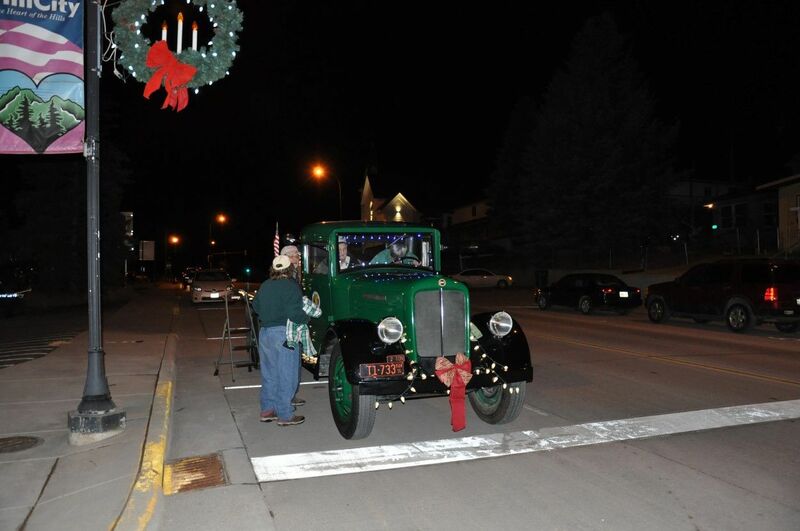 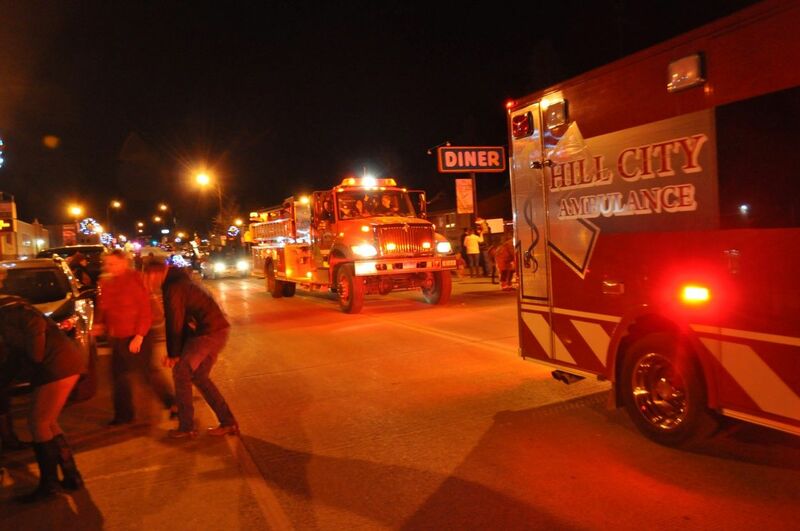 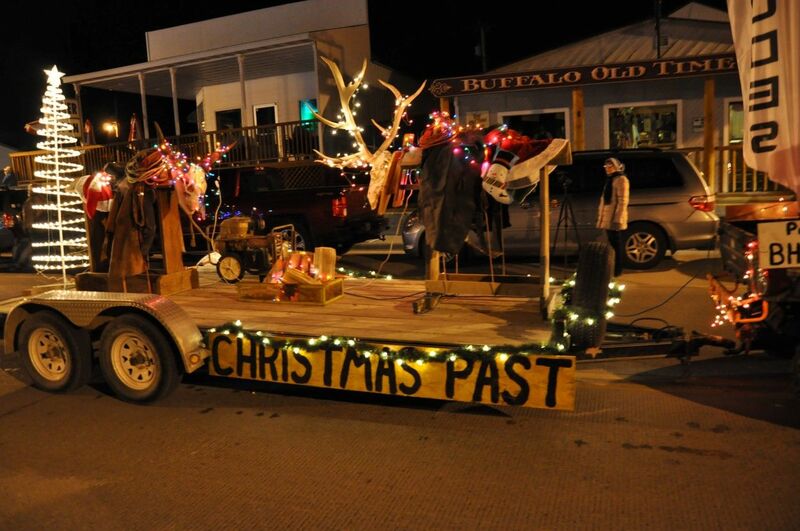 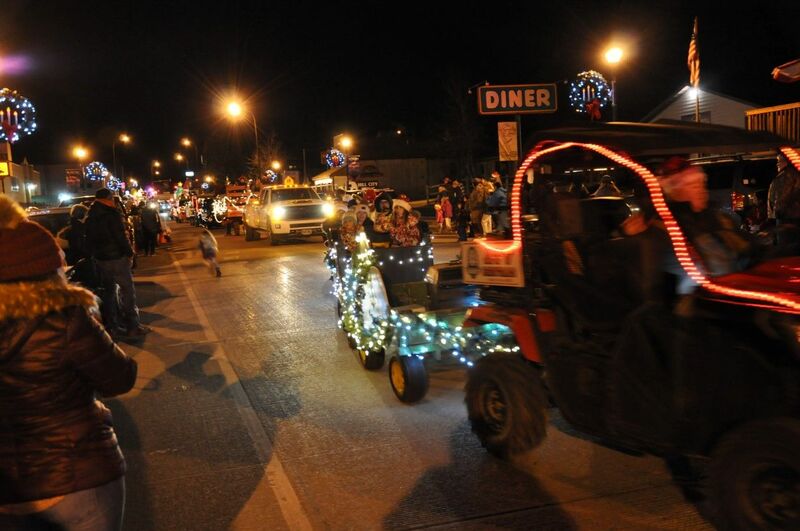 The Hill City, South Dakota Chamber of Commerce organized an old time Christmas. 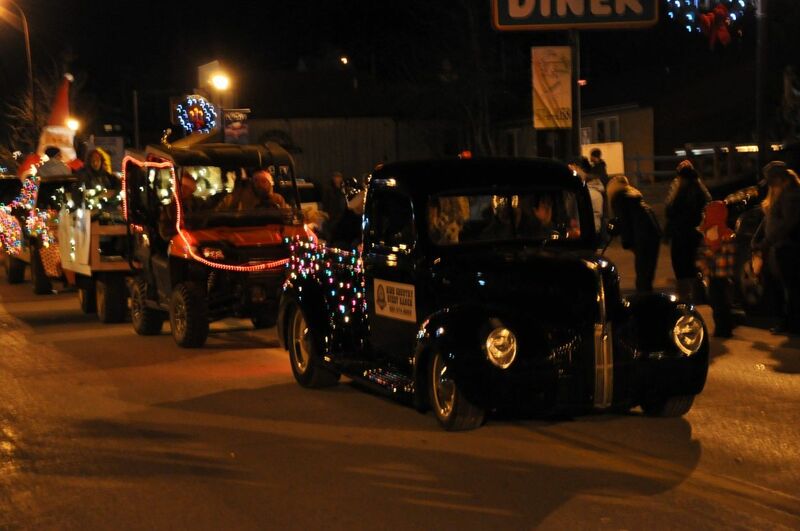 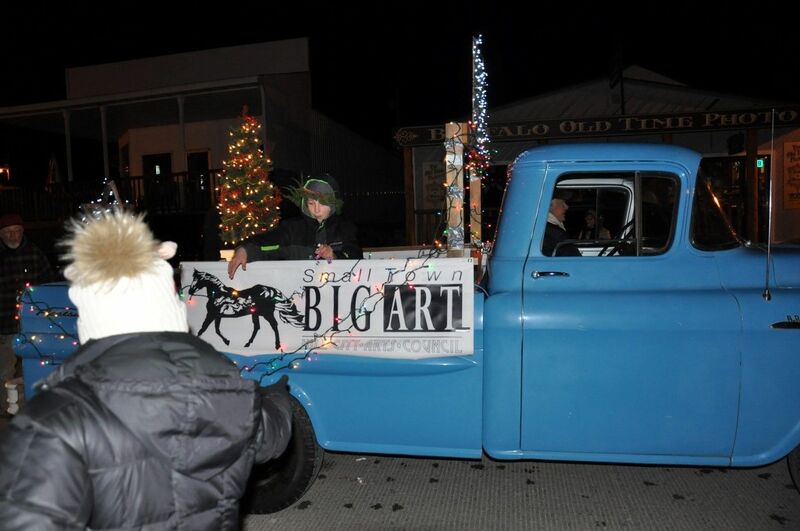 On Friday November 23, 2018 a very large crowd watched one of the best Olde Tyme Hill City Christmas parades ever! 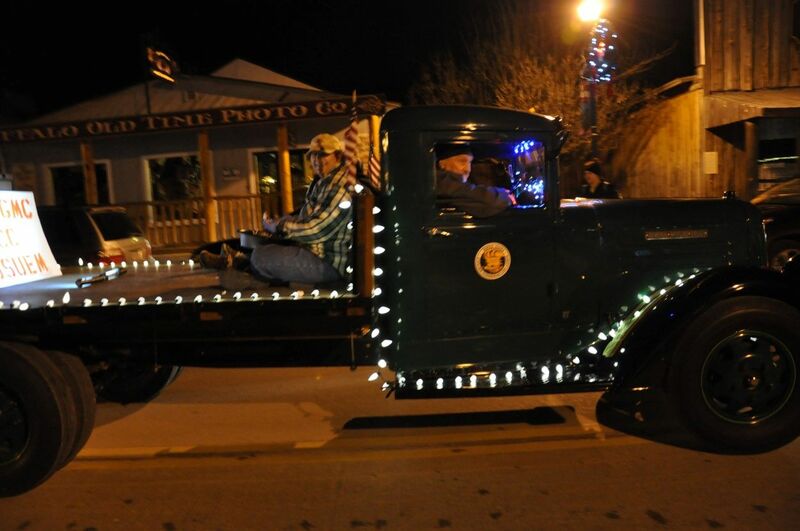 One of the entries was a truck used by the CCC in 1935. 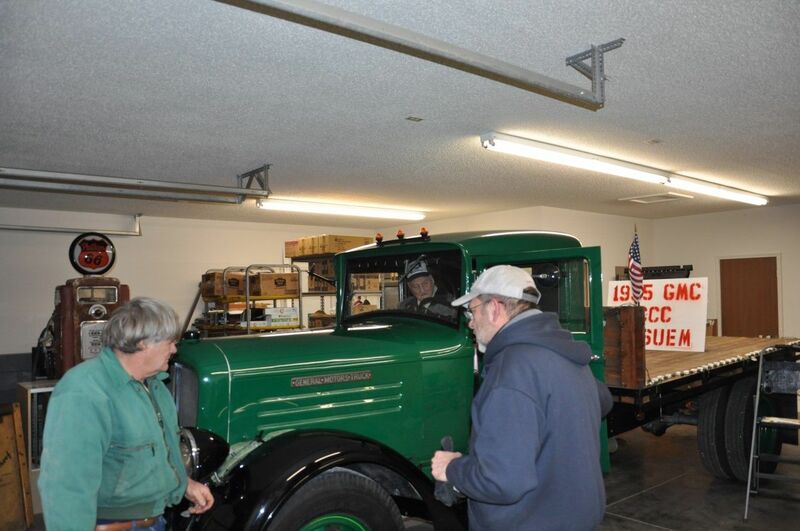 Allen Goens' restored the 1935 GMC and the Goens Family donated it to the Civilian Conservation Corps Museum of South Dakota. 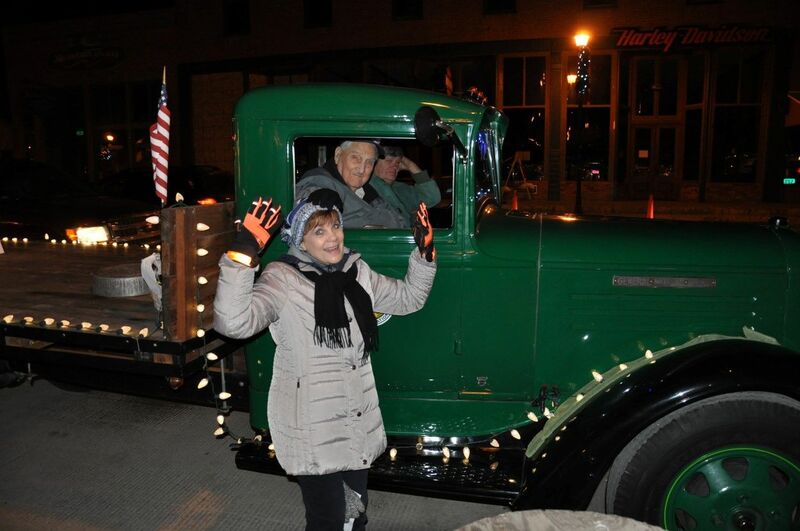 Jay Hendrickson was in the CCC in 1937 and served with Camps Roubaix and Mystic. 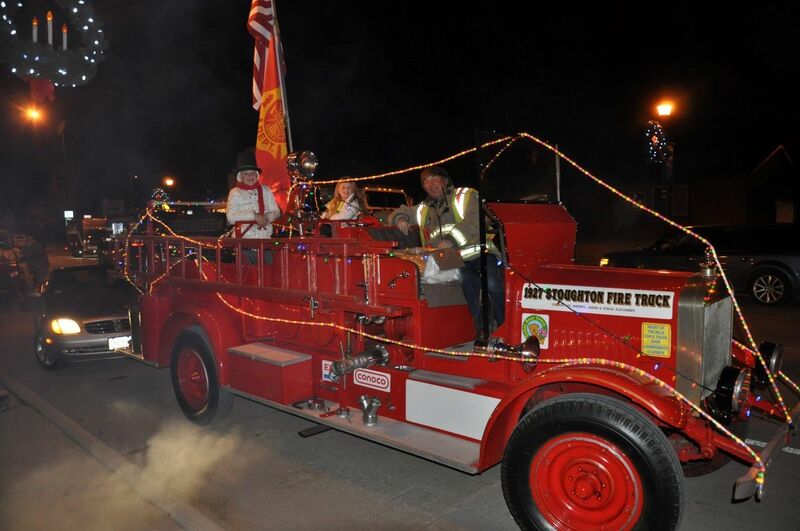 Mr. Hendrickson is nearly 98 years young and was a passenger in the museum's parade entry. 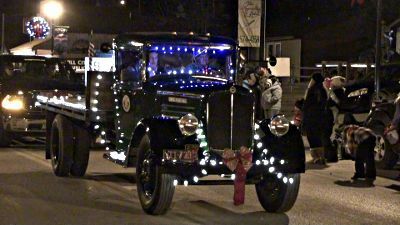 The Goens GMC was driven by Kerry Conner. 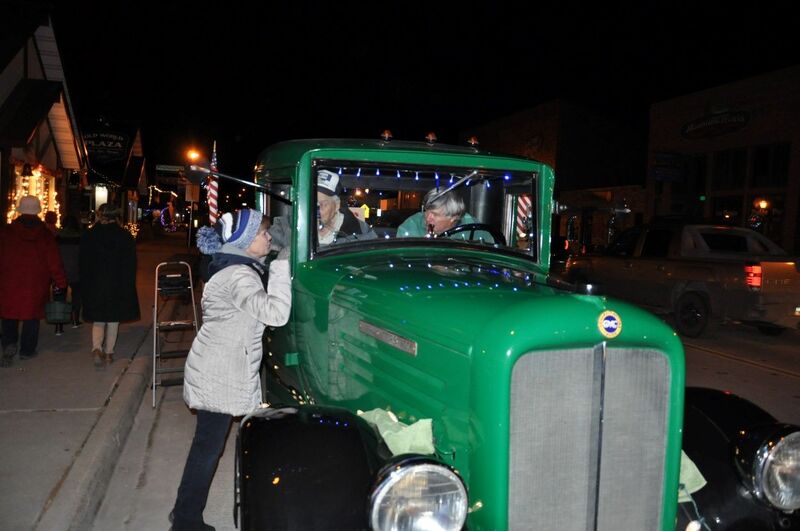 Karen and Dave Maudlin dispensed candy from the back of the truck much to the delight of the young and young at heart that lined the parade route.